In order to know my new neighbor a bit better (before he gets evicted), I decided to learn something about raccoons. Here are the fruits of my labors. Raccoons have a large array of vocalizations. Scientists have determined that they can make over 51 different sounds! They purr, whistle, growl, hiss, scream and even whinny. A raccoon’s hands are so nimble they can unlace a shoe, unlatch a cage and deftly retrieve coins as thin as dimes from your shirt pocket. In spring, female raccoons give birth to three or four young. The baby raccoon’s eyes do not open until 20 days or so after birth. It won’t have rings on its tail, or a mask around its eyes, until it’s older. Baby raccoons stay in the den for eight to ten weeks. The mother raccoon is very protective of her babies—she won’t even let the father near them. Christopher Columbus is the first individual we know of to have written about the species. Raccoons are more likely to be killed by an automobile than by another predator. 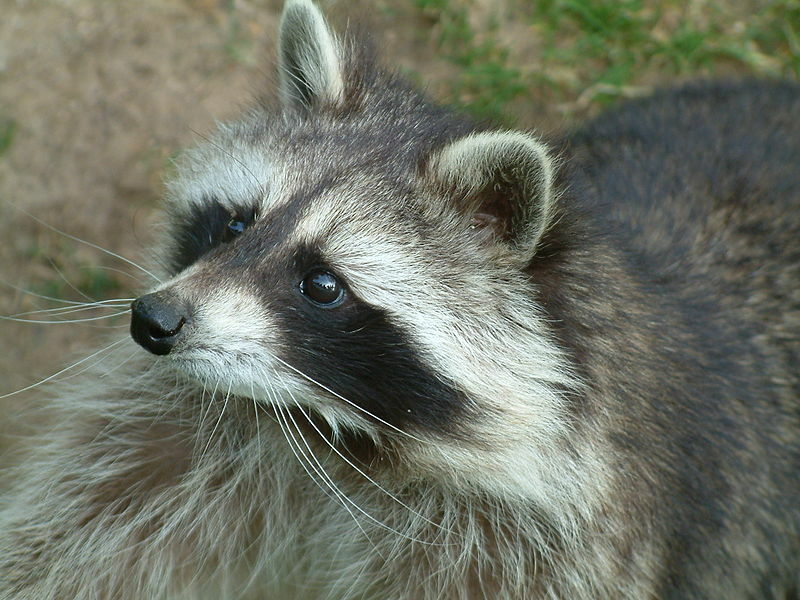 A raccoon can run at speeds of up to 15 miles per hour. ← I am a Raccoon’s Neighbor. So did you tell your neighbor? That’ll show your teacher that you deserve a good grade! Why learn anything when you can copy?